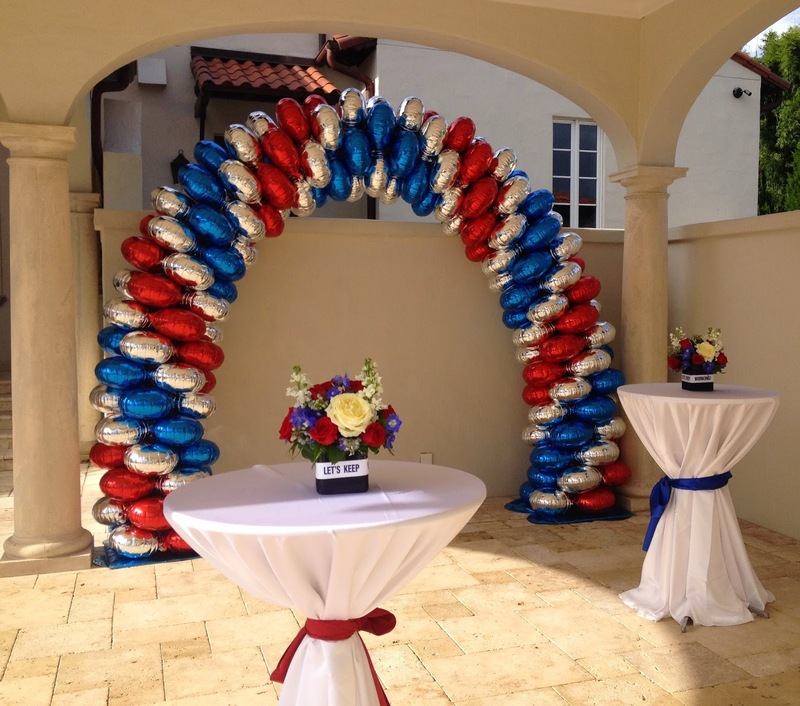 Party People Event Decorating Company: Political Fundraiser! Party People Celebration company is fortunate to have wonderful repeat clients with Beautiful homes. 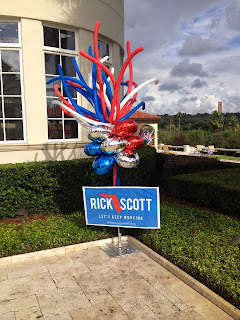 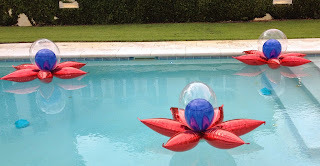 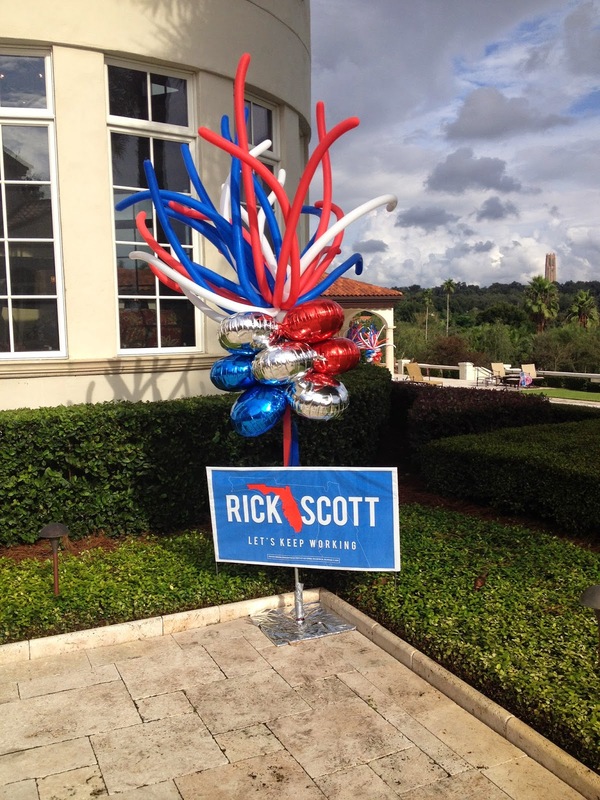 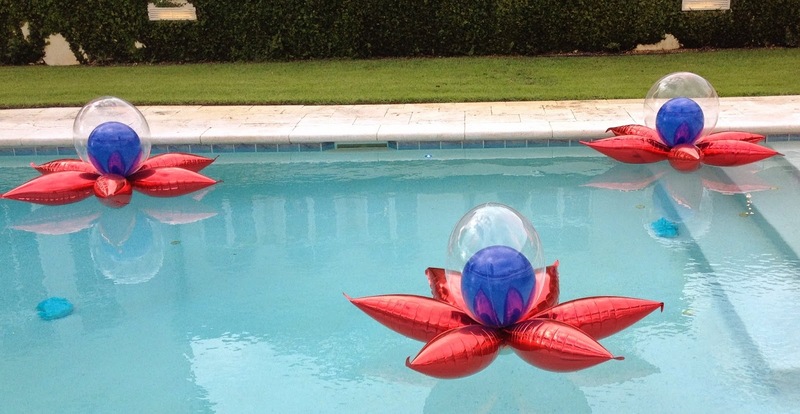 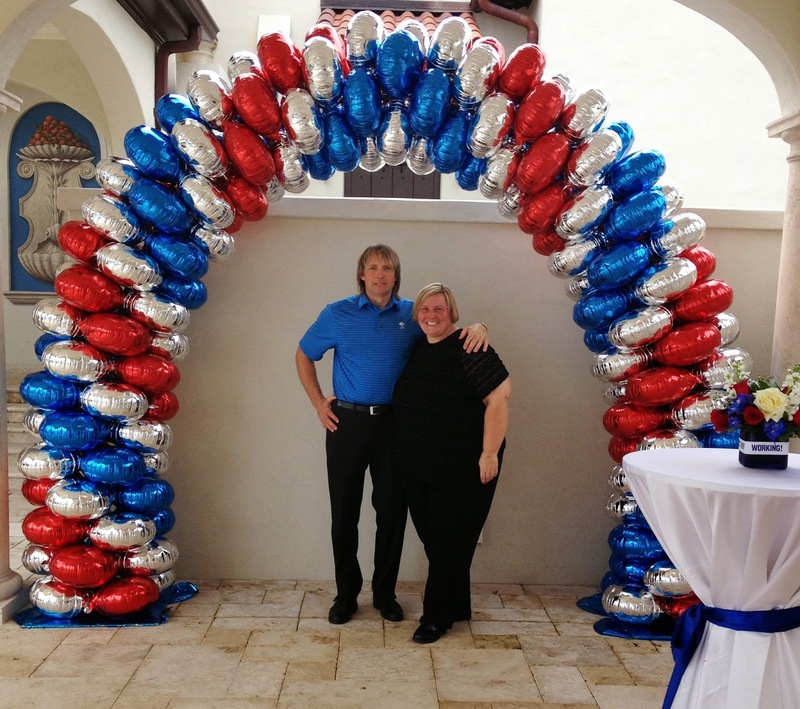 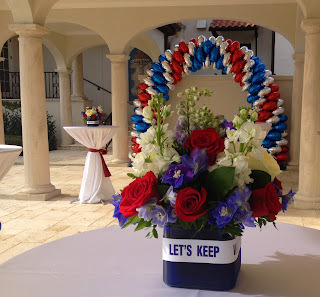 I was asked to create Balloon decor for a Fundraiser for Governor Rick Scott at a clients estate. 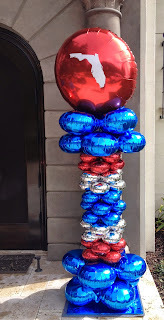 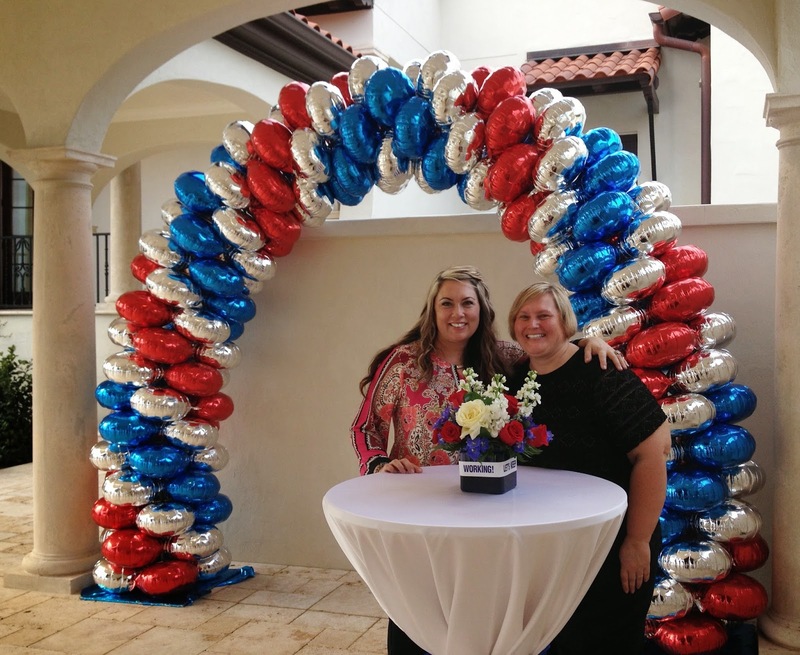 At the front door we created 2 sculpted foil balloon columns with 3 ft balloons with the State of Florida on top. 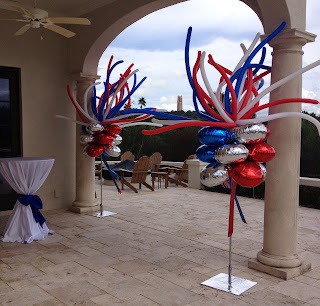 As guest walked out to the Patio Firework topped balloon topiary's add color.